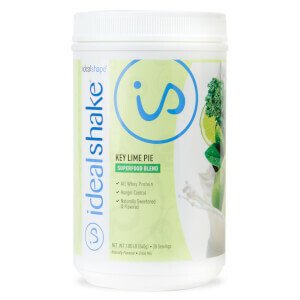 IdealShake Super Meal Replacement Shake is the right combination of ingredients to help you lose weight and feel terrific. 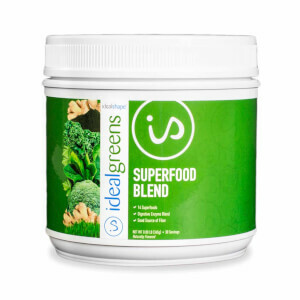 Specially formulated with the natural sweetener STEVIA, IdealShake Super isn’t just refreshingly delicious in this decadent Dark Chocolate flavor, it provides satiating whey protein and fiber, plus essential nutrients to give you the energy you would get from a meal, without the extra calories. 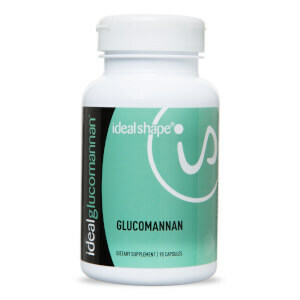 Being a consumer of both Idealshape and Ideallean i have to admit I love both product lines. For me, it’s easy to customize these products to tailor your own individual needs. The dark chocolate stevia sweetened fits the bill when I need a meal replacement. Don’t like to consume sucralose too much. 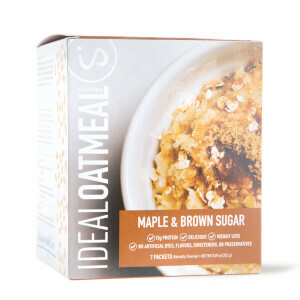 This product has super foods in it as well and the taste is good, but I do add pb2, frozen berries and ground flax seeds to it for even more flavor. It’s not as sweet as the other products sweetened with sucralose, but I would rather consume my shakes with stevia, it being a more natural sweetener and honestly, I don’t like anything super sweet as some of the other ones are. When added to unsweetened milks, (almond, cashew, coconut, etc) this provides me with a “feel good”, filling meal that helps me make it to my next meal without a problem, and keeps calories, bad carbs and poor food choices away due to hunger, to aide in weight loss/ maintenance. Love this product! Works for me! I am still on the fence about how I feel about this flavor. I knew when purchasing that it was going to be more bold and have a "plant like taste" so I wasn't disappointed when I tasted it. Personally, I like to have a variety to choose from, so this fits perfectly and gives me the superfoods that my body needs anyway. Even though its not in my top 3, I would still recommend. Love the taste as I add a little cocoa for a result that tastes like a quality chocolate ice cream. Keep up the good work...and good products. This tastes great and keeps me full until around 11am. I drink it at 7 am-ish!! The dark chocolate shake is very disappointing. It has such a horrible smell when you drink it. What a waste of money! The dark chocolate is my favorite flavor and I am so glad they brought it back!! I drink a shake every morning for breakfast because I am terrible at eating breakfast and this does the job. On occasion when I am running late and don't have time for lunch or dinner, I will drink one of these and it keeps me from having a rumbling stomach until I can eat a meal. Great taste! One of my two favorites. Like drinking a glass of chocolate milk. I've tried all kinds of flavors from this brand and I'm currently on keto so I decided to try the dark chocolate superfood shake since it was both low carb and sweetened with stevia. I love the original chocolate shake and based on the rave reviews for this flavor I decided to try it and I really regret it. I'd much rather return this one and exchange for the regular chocolate. This one didn't blend well, was chalky, and wasn't sweet. I even had to add drops of stevia to it to make it palatable. If you don't like sweet drinks then go with this one but if you do and don't want that "diet protein shake" taste buy the original. The veggie flavor was overpowering as well. I highly do not recommend.